For decades, locals of the Hessdalen Valley in Norway have been living in an episode of The X-Files. Night after night, strange lights appear in the sky, dance around in patterns, and even flash in different colors. And this isn’t just a couple of drunken Euro hillbillies taking grainy pictures of hubcaps. 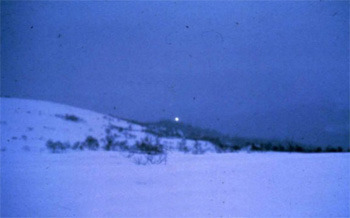 Science confirms the Hessdalen Lights are a real thing, and they don’t know what causes them. Their guesses about what’s really going on are at least as crazy as the lights themselves. One frightening theory, which has been given some credence by a few tests, is that the valley is actually highly radioactive. Radon piggybacks on dust particles until it gets up in the atmosphere and decays, producing the lights. If this is true, then it’s bad news for local residents — radon generally isn’t a “party” element. Luckily there has been little-to-no reported upsurge in local Hulkism. Stretching even further for an explanation, some scientists think that the valley might actually be one enormous C cell battery. It’s been established that one wall of the valley is rich with copper deposits, and the other is rich with zinc, and that’s pretty much the basic composition of batteries. All it would need is some kind of acid to connect the two sides and some way of charging, and you’d have the makings for a neat magic trick, like producing sparks in the atmosphere that look like an alien invasion. The river at the base of the valley contains sulfuric acid, leached from a nearby sulfur mine. And as for the charge, the theory points out that light activity increases around the time of the aurora borealis, which is essentially the universe’s way of opening up the back of the remote and spinning the battery around a bit to get that last little charge out. Or … it could be super bored aliens. We’re not actually sure which is more scientifically plausible. Kazakhstan has one notable claim to fame — well, more a plague on mankind than something to be proud of, really. No, we’re not talking about Borat impressions; we’re referring to a mysterious epidemic that reportedly causes fatigue, memory loss, hallucinations, and most strangely, long bouts of unexpected narcolepsy. Over the past few years, hundreds of residents of Kalachi have reported dropping unconscious, seemingly at random. The problem became so prolific that Kazakhstan even evacuated the town’s inhabitants. The leading hypothesis is that the residents of Kalachi are suffering the effects of radiation poisoning, since the town is close to a uranium mine that adheres to the stringent regulations you could expect from Kazakhstan. But there are holes in that theory, not the least of which is the neighboring town — even closer to the mine — that hasn’t reported nearly as much unwelcome power-napping. Also, all of the blood tests have turned out normal, which leads some to believe that the situation might be a case of good old-fashioned hysteria — that is to say that, due to the town’s reputation, anyone who falls asleep on the job is likely to blame it on the mysterious sleeping sickness rather than having stayed up all night playing Skyrim. 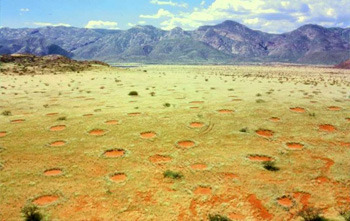 The desert in Namibia, Africa, is the Edward James Olmos of topographic features. What you’re looking at is a field of grass frequently interrupted by patches where nothing will grow. 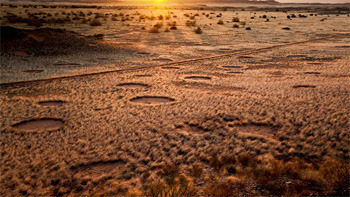 The circles range between 10 to 65 feet in diameter and go on for over a thousand miles. 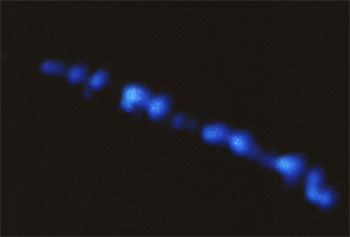 Scientists have been fascinated with the phenomenon for decades, but everyone has come away stumped. Not only can they not explain what makes the circles, they can’t even crack the most basic questions, like why they’re more or less evenly spaced, why they’re always circular, why they never overlap, or like, what even is a circle, man? Nevertheless, they’ve come up with dozens of (mostly debunked) theories to try to explain what’s going on. 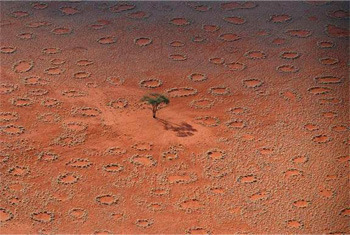 In 2013, scientist Norbert Juergens claimed to have definitively settled the mystery when he concluded that the circles were created by termites. But then biologist Walter Tschinkel flew out to test the hypothesis and wound up disproving it. Other attempted explanations have ranged from radiation to fungus to poisonous gas to ostriches compulsively grinding their asses in the dirt (because there ain’t no Ostrich HBO in the Namib Desert). Every theory so far has been shot down. So … desert puberty it is, then. If you’re one of those people who can hear the hum of a television or the buzzing of electrical wires, then you know what it’s like to be slowly driven insane by a sound you can barely detect. 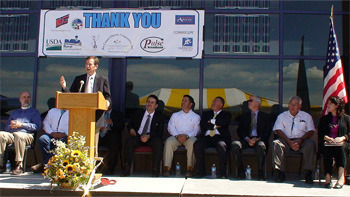 For residents of Taos, New Mexico, that’s every minute of every day. Since the 1990s, residents of Taos have reported a constant, ceaseless humming noise that permeates the entire town and drives them close to barely distinguishable madness. In Borneo, a similar sound was traced back to a local factory, and in a town in England, the noise came from a nearby flight path. 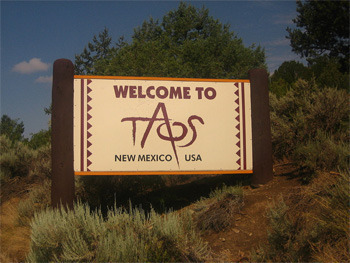 Not so for Taos, where investigators have been attempting to locate the source of the maddening sound for over 20 years, with no success. The prevailing theory is that the afflicted might be “super hearers” whose ears are sensitive enough to pick up sounds from inside their own heads … which, as far as mutant powers go, seems a bit counterproductive. Quick: Think mystery, think intrigue, think nigh-supernatural, unexplainable phenomenon. Did you think … Minnesota? Maybe you should. Behold the Devil’s Kettle. 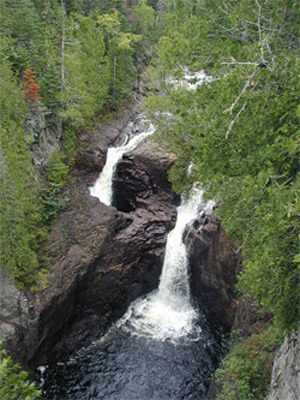 At some point along the Brule River, the river flow splits along a rock outcrop. 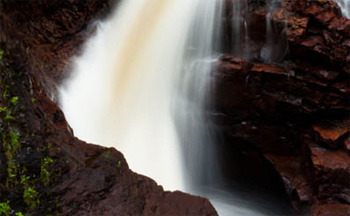 Half of it continues flowing on to Lake Superior, and the other half falls down a hole to … uh … water heaven? It doesn’t seem to come back out anywhere. The assumption has always been that it flows through a system of underground caves until it pops out again somewhere near the lake, because it has to wind up somewhere. But scientists have never figured out where that is. Not that they haven’t tried — researchers have poured dye into the Kettle and then watched the lake to see which part of it would turn colors. When that didn’t work, they tried dumping Ping-Pong balls, which also vanished from this universe, only to seriously confuse the inhabitants of Dimension X, whose own comedy writers are, at this very moment, freaking out about the lake that produces Ping-Pong balls from nowhere. One thing we do know? Our plans for the weekend. We’re going to need a fifth of your finest, cheapest bourbon, a boogie board, and a GoPro.